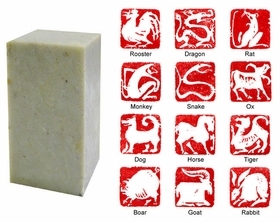 The Chinese Zodiac is a twelve-year cycle with each year represented by an animal. Chinese believes people born in a certain year take on the virtues of the corresponding animal. 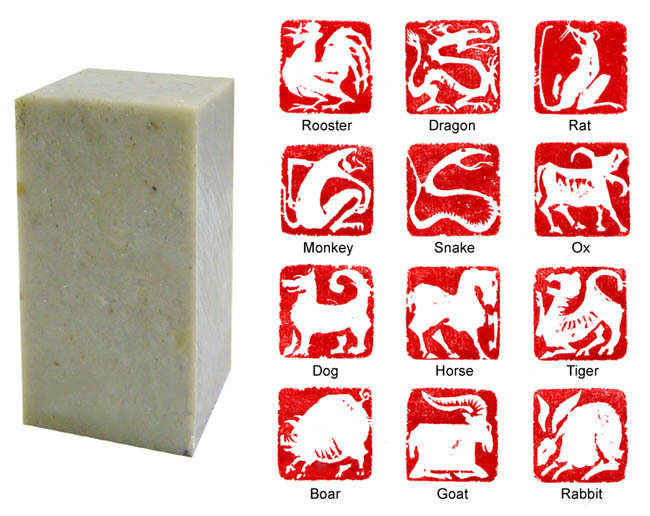 Each Chinese zodiac seal/stamp is professionally designed and hand carved with your animal on the bottom of the stone. You may dip the stone in a dish of special red ink and stamp your chinese zodiac symbol on greeting cards, letters, books, etc. Perfect as gifts too. Base Dimension: approx. 1 1/8" x 1 1/8"